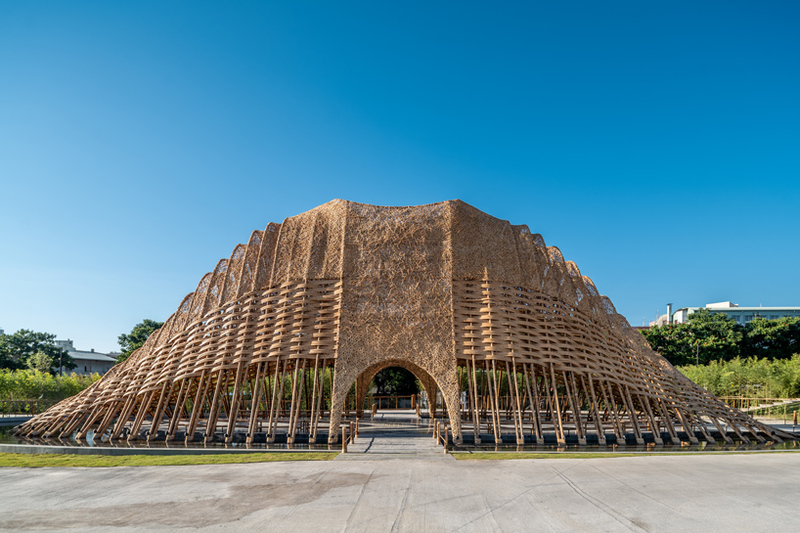 ZUO studio crafts the ‘bamboo pavilion’ exhibition hall in taiwan’s industrial city of taichung. 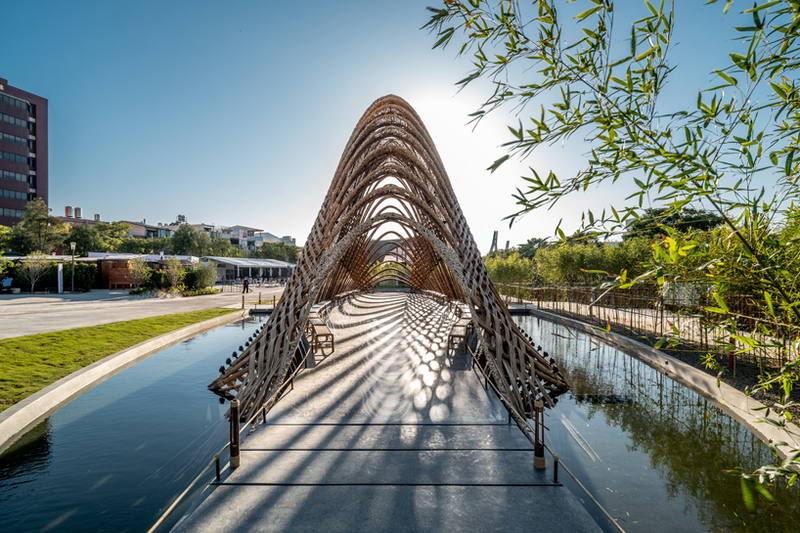 the continuously developing construction industries are quickly changing the appearance of the city, moving it forward with the era. 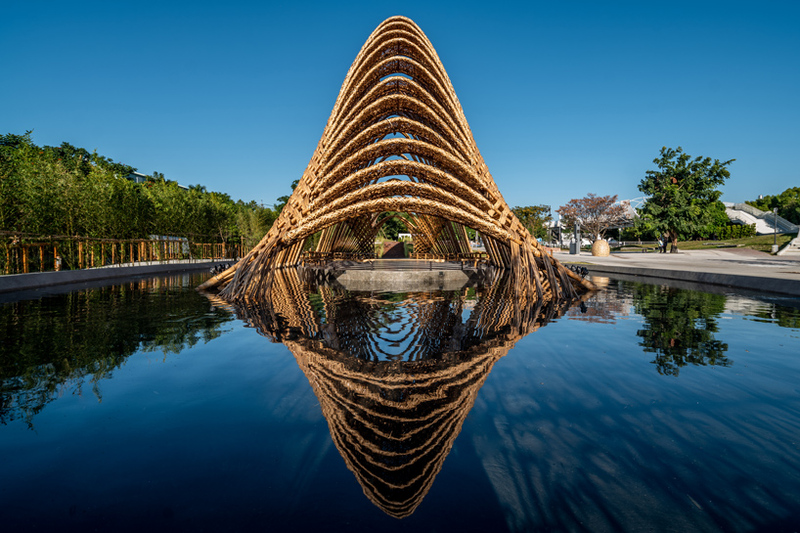 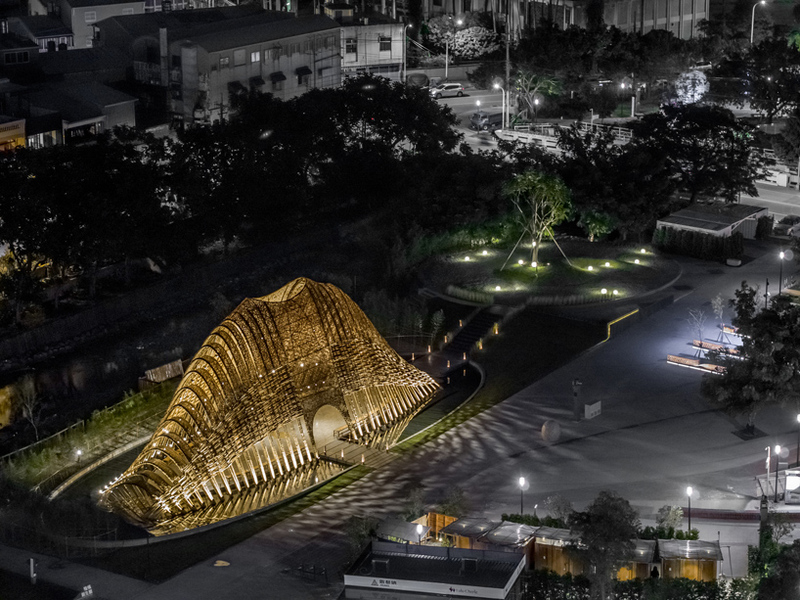 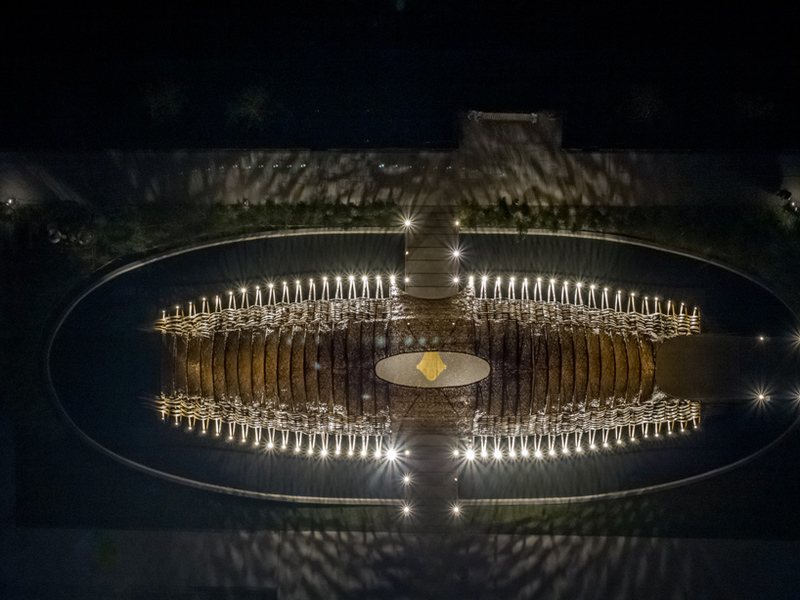 ZUO studio partnered with taichung real estate development association in the design and construction of the pavilion as a demonstration of this pioneering spirit in a traditional, naturalist exposition. 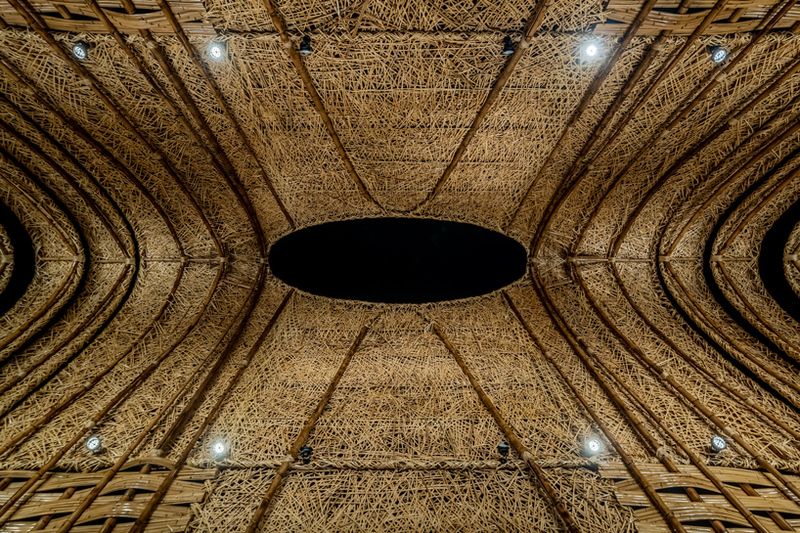 the space serves to emphasize care for physical and mental health, a devotion to social benefit, and local craft and materiality. 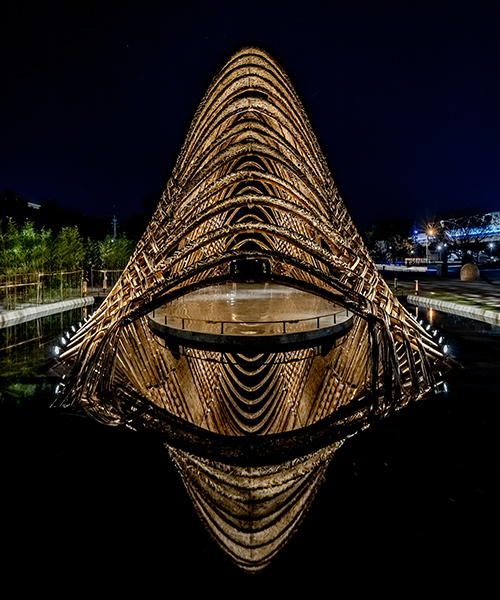 ZUO studio developed the exhibition as a ‘taichung world flora exposition’ to express the natural beauty of taiwan. 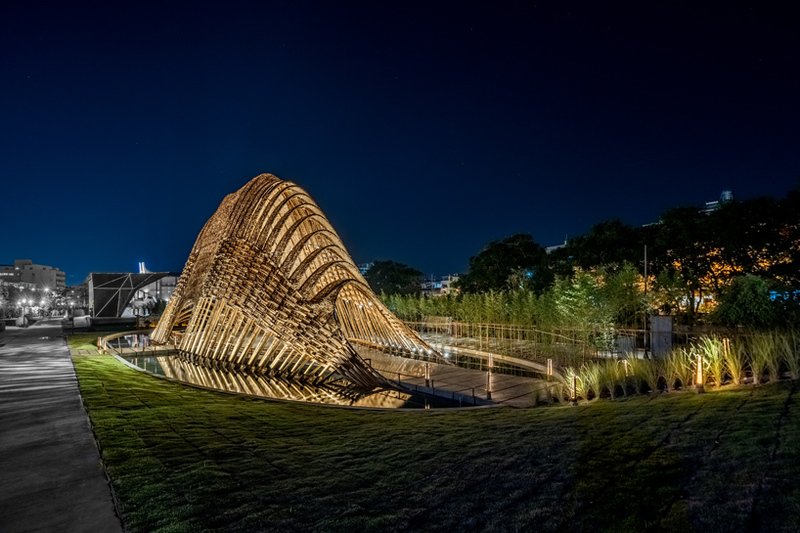 drawing influence from imagery of taiwan’s central mountain range, the occupiable pavilion emanates a landform surrounded by water. 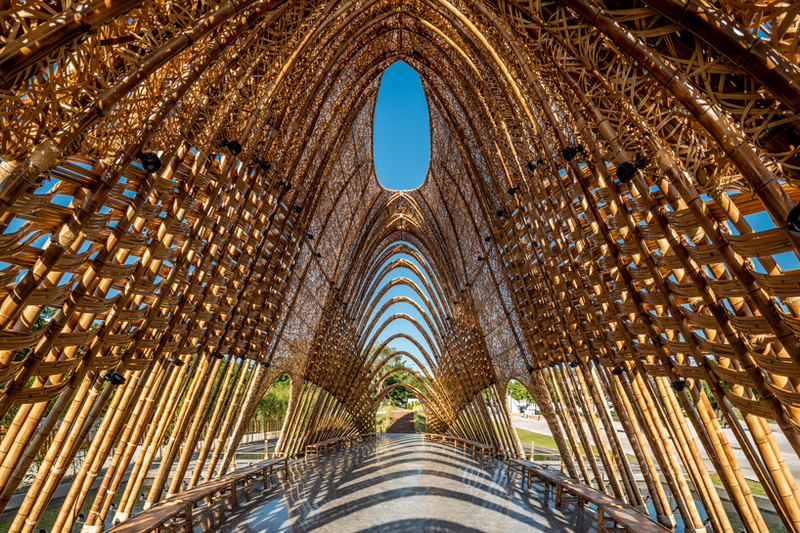 from the interior, the occupant is offered the perception of walking through a bamboo forest. 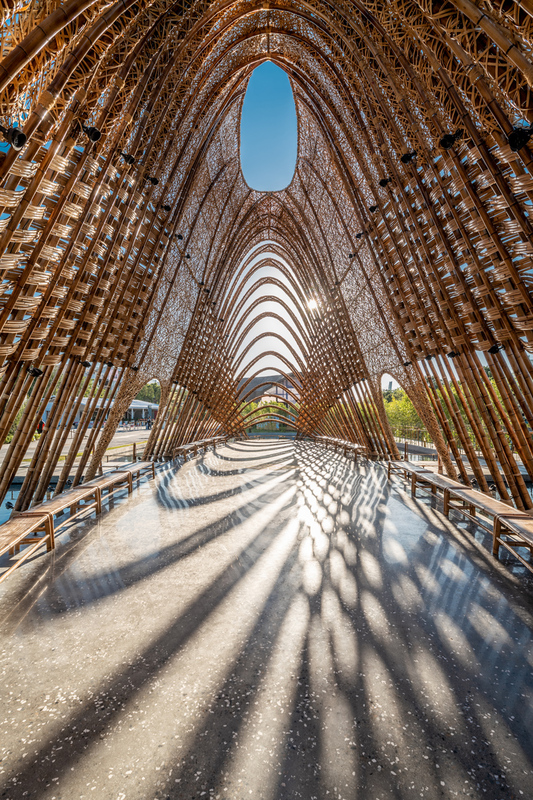 natural light filters through overhead through woven textures and skylight apertures. 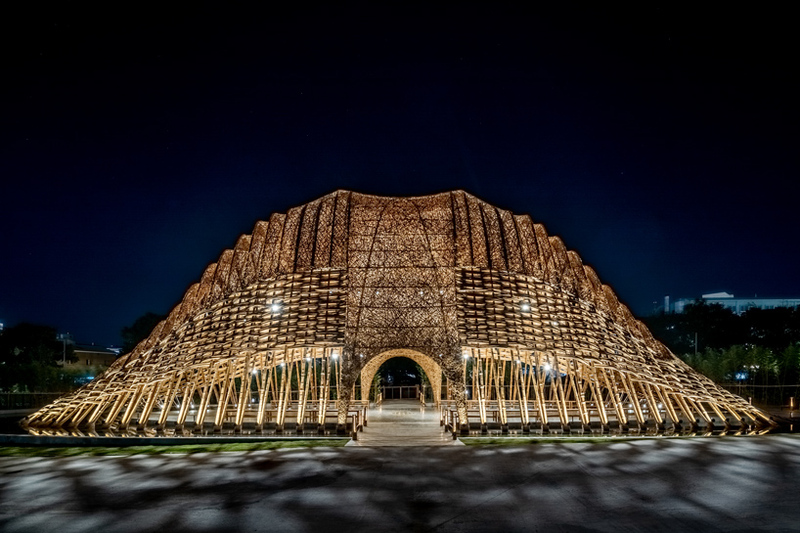 ZUO studio made use of entirely native materials, primarily moso bamboo and makino bamboo. 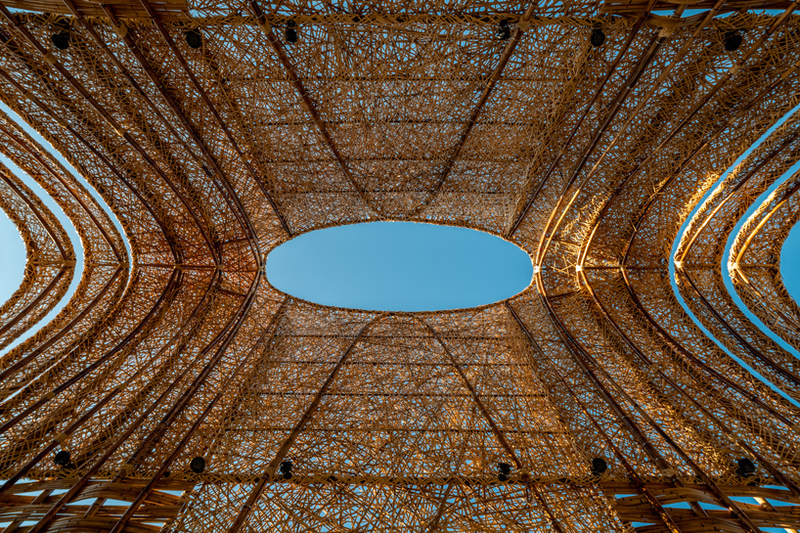 the colossal scale of the project emphasizes the tenacity of the natural material. 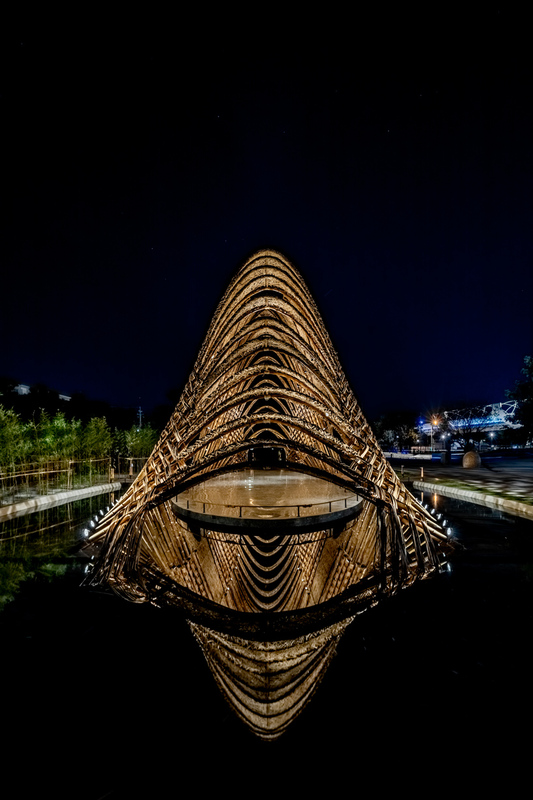 collaborators: formgen construction ltd., champion construction ltd.